Find out which portrait cameras and lenses are worth buying in 2019. We all want to take portraits with the “WOW Factor”. To do that, of course, you need the right gear. For portrait photography lovers, I picked the top 5 best portrait cameras for 2019. 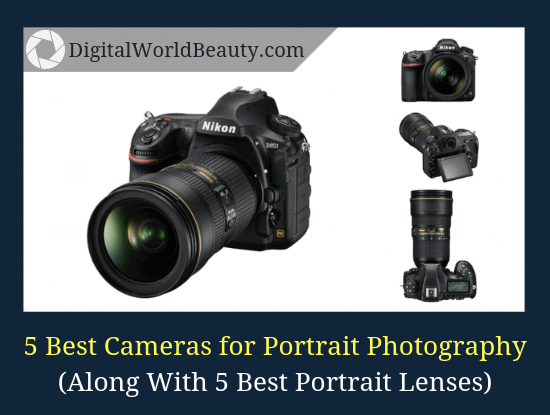 I will also recommend you the best portrait lenses for each camera mentioned here. These camera + lens combinations will be good enough to work professionally in this field. Here is a quick navigation table of what to expect in the article. Also, the prices exclude the lenses recommended here. Nikon D5300 – Best budget entry-level SLR camera for portraits (under $500). Nikon D610 – Great portrait camera for advanced photographers (under $1500). Nikon D750 – Awesome choice for professional portrait photos (under $1500). Sony a7R III – The best mirrorless camera in 2019 for all needs (under $3200). Nikon D850 – The best DSLR for portrait photography 2019 (under $3300). If you’re a regular reader of my Digital World Beauty blog, you’ll notice that some of these are my top rated cameras for both portrait AND landscape photography. Don’t choose these if you are into sports photography because sports requires a high frame rate and fast focusing. You will also notice that the majority of the list are Nikon cameras. It’s not because I am a huge fan but because most photographers use these DSLRs specifically for portraits. Nikon D5300 is one of the best entry-level cameras. … then Nikon D5300 is practically a dream camera. Of course, it’s not the current model but it is a great one to pick up, especially if you’re a beginner and on a budget. only a step behind the Nikon D7100 SLR camera (in terms of functionality), yet more compact and lighter. The sensor has 24 MP and has an AA (anti-liasing filter), so the image is exceptionally sharp. (If it’s not then you are doing something wrong). You can safely use ISO 6400 and the quality of the image will be decent. Even at the maximum ISO 12800 and Hi-1 (ISO 25600) your photos will look quite great. You will also be satisfied with cameras ISO. The burst rate of 5 frames per second is a very good indicator, especially for a budget camera like Nikon D5300. (Which is only slightly different from the D7100/D610). Having 5 fps burst rate is more than enough for shooting portraits, landscapes and even wedding photography. and the highest image quality for this camera class will appeal to the latter. D5300 is equipped with a built-in wi-fi sensor that will allow you to synchronize the camera with your smartphone in a matter of seconds. And won’t have a negative effect on the quality of your (portrait) photos. post-processing functions in the camera itself. all the advantages of autofocus appear only when shooting through the viewfinder. It’s recommended that you find Nikon D5300 with 18-140mm kit lens because that longer kit lens is going to be really useful as you’re shooting different types of portraits and light wedding stuff. It is also greatly recommended that you pick up Nikon 50mm F/1.8 G.
And it really gives you that background blur that portrait photographers love. … So be careful and get the G model!!! 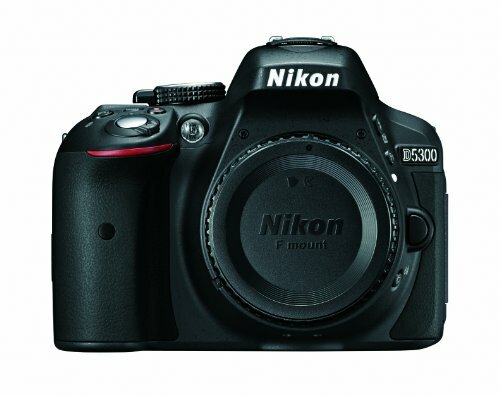 Then Nikon D5300 is an ideal camera for you. 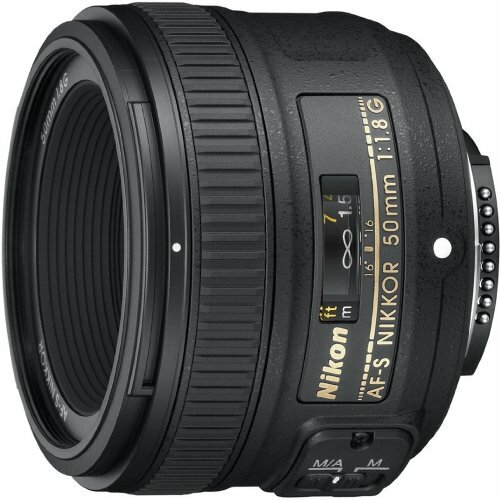 Lots of professional photographers use this exact combination of D5300 + 50mm f/1.8 G lens to create portrait masterpieces. and when shooting with low lighting, you will have a “clean” and noise-free image. Nikon D610 is a budget full-frame DSLR camera that’s definitely worth getting for your portrait photography. Initially, the full-frame cameras were intended for professional photography and were pretty expensive. However, as time went on, the manufacturers decided to release professional, yet affordable cameras, and one of these cameras is D610. Just like in Nikon D5300 I mentioned earlier, D610 also has a 24 MP sensor and it is camera’s main advantage. Unlike D5300, this camera has a higher burst rate, which is 6 frames per second at full resolution in RAW. Now, what can be said about ISO? Well, the range of photosensitivity is from 100 to 6400 ISO units, and with boost the interval from 50 to 25600 units becomes available. One thing I’d like to mention is that Nikon D610 has a fantastic HDR mode. Once you try this mode, you will never shoot without an HDR, believe me. Especially, if we are talking about shooting landscape photos in the evening time. This mode makes 2 frames with different exposures and glues these 2 together in 1, keeping very bright and very dark areas as much as possible. HDR works only when shooting in JPEG. In RAW, you will do everything yourself, having spent a lot of time, and the result is unlikely to be better. 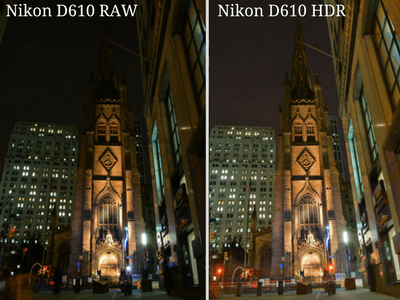 So, if you happen to shoot in low-light conditions, be sure to use the HDR function. Also, it’s very convenient to have U1 and U2 modes. All the camera settings, including autofocus and exposure metering settings can be stored in these modes and instantly turned on. I have a friend who saves the settings in U1 to shoot landscapes (which is his specialty), and U2 mode for portrait photography. In any case, if you are looking for an affordable quality full-frame camera for portraits, definitely consider taking Nikon D610. autofocus points are grouped close to the center of the frame. 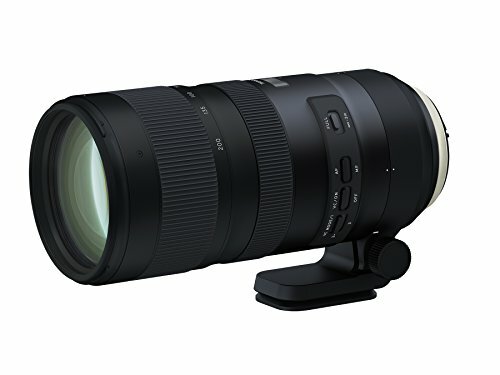 It’s recommended that you get a Tamron 70-200mm f/2.8 lens in its Nikon mount. That’ll be way more versatile, you’ll be able to get those tight headshots with a beautiful background blur and overall your image quality will be just cleaner, perfect high-end portraits. Nikon D610 is an excellent full-frame camera for beginners and advanced photographers alike. It is hardly an obstacle to the creation of masterpieces. If something doesn’t work out in your portrait photography, then it’s definitely not in the camera’s fault. And, if you belong to a Nikon camp and can afford such a camera, take it. You are unlikely to be disappointed. The camera will perform an entire range of tasks quickly and efficiently. Nikon D750 is a full-frame (FX) camera with a tilting display, the logical continuation of the line of Nikon FX-cameras, perfectly suited for modern photographers. Even though the previously mentioned D610 has a fine autofocus, in Nikon D750 it’s a lot better. The D750 focuses quickly and confidently even in the dark (like the D810 DSLR), so the backlight can be safely turned off. In addition to high photosensitivity, the autofocus can recognize faces in the frame, which is not present in the older Nikon FX models and Canon digital cameras. Basically, this allows you to get good shots even without taking a particular aim. High ISO of 8000 won’t be a problem, in fact, even shooting at ISO 12,800 will be quite decent. 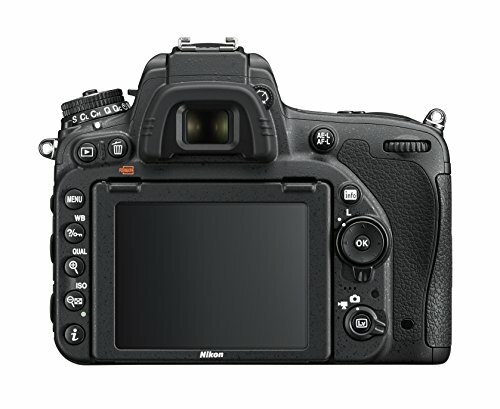 This allows you to fully use the burst rate of D750, which is 6.5 frames per second. I would prefer that the autofocus areas occupy the entire area of the frame, and not just its central part, then there will be more chances to get a sharp shot in the sports or any other moving subjects. The most noticeable external innovation was the use of an inclined display. 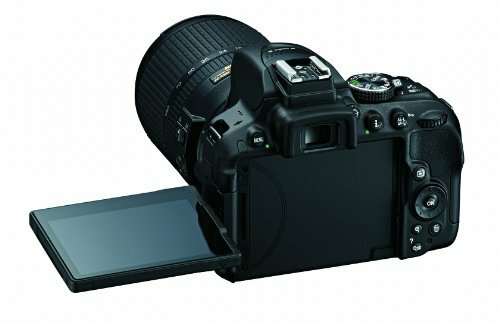 The Nikon developers from year to year avoided using such a design solution in professional and semi-professional SLRs. And they finally added this feature to Nikon D750! Perhaps the creators of the camera simply managed to create a design to which we will not have any complaints. What we see with D750 is a finely tuned control, which became much clearer to beginners. A new design with a flip-up display will make it convenient for you to use the camera. This camera is perfect for portrait photography, weddings and other events shooting. ability to work with two memory cards. reduced monochrome display on the top panel. 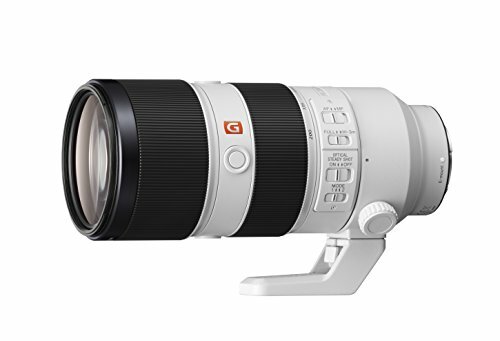 It is recommended that you get a second generation Tamron 70-200mm f/2.8 lens. 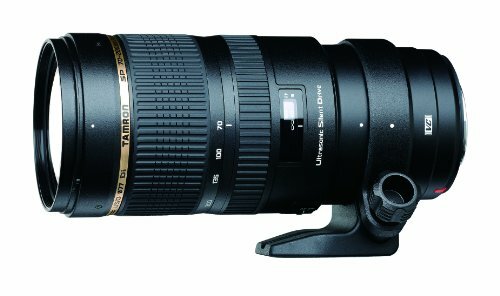 If you have a bigger budget then the new Tamron lens will definitely be better to get than the old one. Nikon D750 is a step up from D610 which has an improved focusing system. It makes sure that it focuses on the eyes that much quicker and allows you to focus out further towards the edges of a frame (which as a pro you’ll begin to really appreciate). 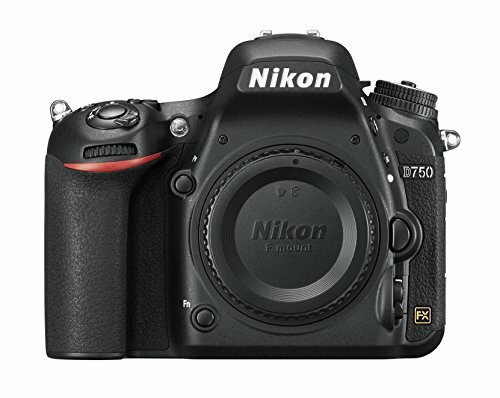 Nikon D750 is an excellent full-frame camera with no visible flaws that could spoil your mood. 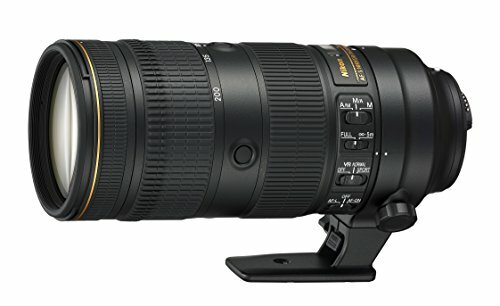 If you want an FX camera for portrait photography, then you should take a closer look at the D750 with Tamron 70-200mm f/2.8 lens. While Sony a7R II is a cheaper alternative, without doubt the new a7R Mark III is the best mirrorless camera on the market, whether for landscapes, portrait photography or anything else. Its versatility can compete with the reportage Sony a9, voted as the best camera at EISA Award event. 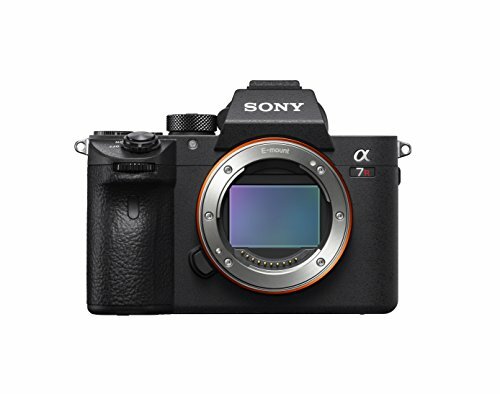 Alpha 7R III gives up it’s place to Sony a9 in terms of speed but it does surpass the latter in terms of image resolution and video capabilities. The image quality remained at the level of a7R II, that is, stably high in any conditions. The camera can boast about the widest dynamic range, not only at a minimum, but also at relatively high ISO. I mean the detail of the image is extremely high. You can boldly use values of up to 12,800 ISO units. As a portrait photographer, you will like the eye-detect autofocus in a7R III. Basically, it can lock on to the eyes so you will never have to move the focusing point around. Generally, you’ll find the workflow works a little better than, for example, Nikon D850 (that I will mention next). Sony doesn’t have that much variety of lenses and flashes, especially third-party lenses, but Sony a7R III and a 70-200mm f/2.8 GM lens really is a powerful combination for portraits. Of course, this camera turned out to be very successful and extremely universal. In my opinion, most of them are not so noticeable in comparison to its pros. These are some minor flaws in the interface in the form of a lot of obscure abbreviations and non-obvious settings. I feel that to understand this camera, it is not enough to read the instruction. With Sony a7R III you’ll have to work with it and adjust a little bit to it first, and only then fully customize it to your needs. Either way, it’s one of the best cameras that you can choose for your portrait photography. 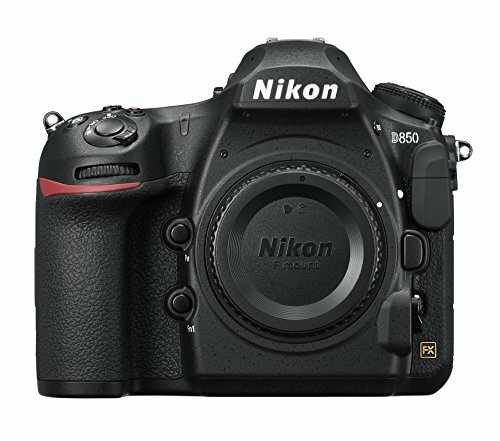 Nikon D850 is one of the best Nikon cameras on the market. Just like in my article on the best landscape camera, I wasn’t sure between Nikon D850 and Sony a7R III. As I mentioned earlier, if you are bit nerdy for all the new camera features, then you’ll love the mirrorless Sony. But if you are more into old-school cameras, then Nikon D850 sure is the best SLR camera that you can get for your portrait photography. Nikon D850 is a full-frame SLR camera which has 45.7 million pixels located at the 24×36 mm crystal. You might ask, “why do I need so many megapixels”? It’s like with time and money: you can’t have it too much. More image detail – the more freedom you have in everything. High resolution allows you to print pictures in large format, gives room for framing and greater flexibility in processing. For example: retouching a portrait or a subject photo becomes much more convenient if the shot is taken in high resolution. That is why cameras with higher resolution are so loved by portrait and landscape photographers. Nikon D850 combines high speed with incredible detail of images, allows you to make high-quality shots in any conditions, including in poor lighting at high ISO values. The dynamic range is also wide enough for RAW files to be flexible in processing and allow to “pull out” a decent result even in the most difficult situations. Continuous shooting is possible at a rate of 7 frames/s, and with a battery pack MB-D18 (with EN-EL18b battery) – it’s 9 frames/s. Ergonomics of the camera at its finest: articulated display, joystick to select the area of autofocus, a lot of separate buttons and selectors. One of the reasons why I’d recommend choosing Nikon D850 over Sony a7R III is that there are more lenses available for the former than the latter. I mean there are a lot of lenses that won’t match Sony but will definitely match the good ol’ Nikon DSLR. Anyway, the best lens for portrait photography that’s advisable to get with Nikon D850 is Nikkor 70-200 f/2.8E lens. Again, if you are into all the modern cameras and like all the new features, then definitely get Sony a7R III over old-school Nikon DSLR cameras. If you are more old-school and watch to use a variety of lenses, then take Nikon D850. Nikon D850 with Nikkor 70-200 f/2.8E lens really is a powerful combination that you can get for your portrait sessions. It’s one thing to find the best camera to take portraits but you also have to have basic skills and the right lenses. First of all, for portrait photography it’s convenient to use long-focus lenses with a fixed focal length (also knows as primes). Why? Because they don’t distort perspective as much as others do and that’s important. Also, a fully open aperture when shooting a portrait allows you to get photos with very beautiful background blur. When taking portraits, you need to remember some important rules: to give expressiveness to a picture, you need to focus on the model’s nearest eye, and take a shutter speed no longer than 1 / <focal length of the lens>. For example, if it’s a 85 mm lens, then use 1/85 shutter. This way you’ll avoid an unexpectedly sharp nose or chin on the overall unsharp portrait of the model. It also will guarantee that you avoid the overall image blue due to the long exposure. You don’t want to have a strong digital noise, so try using the 100-400 range ISO. The camera must be used in semi-automatic or manual mode. All the aforementioned cameras are absolutely great for portrait photography, whatever your budget is. In fact, all of these camera+lens combinations were/are used by professional portrait photographers. Test them out! Anyway, I really hope you enjoyed this list of the best cameras and lenses for portrait photography and let me know in the comments which camera you found most suitable for you. Check out this online course to improve your photography skills. If you are into sports, action or wildlife, keep in mind that unlike landscapes and portraits, sports photography requires fast focusing and high frame rate. Therefore you’ll have to check out the sports cameras and lenses for 2019. Any other questions and/or suggestions are welcome in the comments area below. P.S. What are your thoughts on these 5 best cameras for portrait photography in 2019? Great review of the portrait cameras. I kinda like the fact that you presented less options for the best cameras as having too many options tends to overwhelm me. Anyway, recently I heard a lot about Sony a6500. There are two camps, some say to stay the hell away from anything Sony and others are loving the a6500 camera. I am confused to be honest. What would you say about Sony a6500? Do you consider it a good one for the portrait or wedding photography? Anyway, Sony a6500 was actually voted as best prosumer compact system camera 2017-2018 at the EISA Awards event. This is a great camera for sure. 1) I think the reason why most people don’t like Sony is because with mirrorless cameras you’ll have to use flash which means that your portrait/wedding photos will not be high-quality. Basically, they’d recommend you get a camera with a real shutter. 2) The reason I didn’t include this camera in my top 5 list for portrait photography is because compared to competition their battery life and controls were slightly worse. Fujifilm’s native APS-C lens selection is better than Sony’s APS-C lens selection, too. Of course, it’s your choice if you want to get a6500. It’s a great camera for sure. And if you will end up getting one, probably consider getting Sony E mount system and lenses since they are designed to work with all Sony cameras. FF lenses are very sharp on the A6500 and their price is in line with any other lenses of the same quality. My portrait photography is something I really want to improve on. I love photographing inanimate objects, but there’s not much money in that. From a business perspective, photographing people is definitely the way to go. 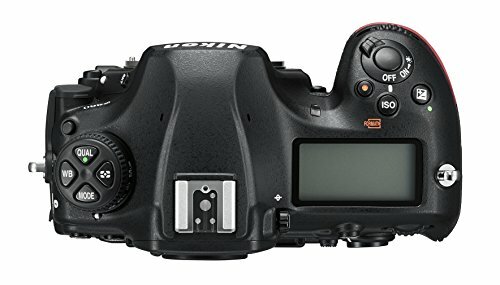 I see 4 of your top 5 cameras you recommend for portrait photography are Nikons. Is this because you are a Nikon fan? Just surprised there’s no mention of a Canon camera, which is currently what I’m using. Personally, I am a fan of shooting beautiful landscapes, so I can totally relate. Frankly, I am not a portrait kind of person, I find it more challenging and would definitely need extra experience and more photography tips if I want to improve in that area. Anyway, what I am trying to say is that this article was based on research and comments made by other photographers, who specialize in portrait photography, not on my personal experience with it. What I’ve discovered was that these Nikon cameras were pretty popular (in combination with the lenses that I mentioned) for shooting photos of people. It is very likely that I update this post with more cameras, once I connect with more photographers and learn what Canon (or other) cameras they use for portraits. Thanks for asking this. Wow, this is a very detailed review of these five cameras. Great information! I am no pro, so I would need to start with the under 500 version. But, it looks like it provides great pictures. I can’t believe how expensive some of these are. I could see photographers who use them to make a living, should get the best. Do we need different cameras for sports pictures then? Or, is there one that will do any kind of pictures you want? My son takes a lot of nature pictures and he uses a fancy Canon but I don’t remember the model. Thank you for providing such detailed information to help us make an informed decision. Hi Curtis, thank you for your kind words! Yes, photography is a rather expensive hobby 🙂 But for some it’s also a very well paid hobby (portraits are one of the most popular genres). Just because Nikon D5300 costs less than $500, doesn’t mean it’s a bad camera. Quite the opposite. Other under $500 options are Nikon D5500 and D3400. You said you’re a newbie and the good thing about the aforementioned budget cameras is that they have a “Guide” mode which basically will help you learn how to take photos (the right way). The cameras I mentioned in this post certainly work for portraits AND landscapes, but not for sports. Instead, you’ll need cameras with fast focusing and high frame rate for sports. There’s no “universal” camera for every photography genre possible. And for sure you’d have to have specific lenses for different uses. For what it’s worth: lenses are a lot more important than camera body, so it’s always better to buy a cheaper body but a quality lens. As a beginner though, you can get a DSLR with a kit lens (package deal). I’m happy to help Curtis and thank you for stopping by. Wonderful article on portrait cameras!! Thank you for adding lens recommendations I really wanted to make the right choice with photography gear. Now I feel like a kid in the candy store waiting to get a toy for Christmas just happy lol. One thing I never understood is why do serious photographers have too many different lenses? Yeah I know, sometimes people who are not very well familiar with the photography world question why some passionate enthusiast or a pro would need so many lenses. The question is valid. A photographer might need different lenses with different focal lengths covering the range that he needs (to shoot both close-up and from afar). For example, he would use one lens for portraits and another one for landscapes. 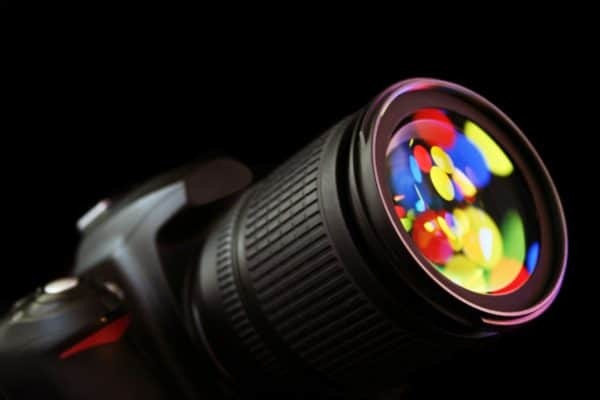 Basically, each lens has a purpose for a particular photography genre/shooting situation. Just chiming in to say I love taking portraits and landscapes but my son-in-law is the resident photographer in our family. He doesn’t have a studio anymore but gets hired to do professional photography for events. I know he has the Nikon D750 and at least one other Nikon in his arsenal of camera and equipment. He said he would love to have the Nikon D850 but just can’t afford it this year. Hopefully he’ll be able to afford it in the near future and enjoy his profession even more with the new gear. Hi, Zarina and thanks for such an in depth post. I have always wanted to get better at taking pictures and I know that “You get what you pay for” goes for cameras as well AND learning how to use them will also produce better pictures. Also, with cameras like these reading the instructions front to back is a good idea and even better would be to read them 2, 3 or maybe 4 times. You seem pretty knowledgable about the photography gear and I appreciate you putting this out there for those of us that aren’t quite as knowledgable. I think I will return and see what else you have written. Who knows, I might be learning a whole new hobby. 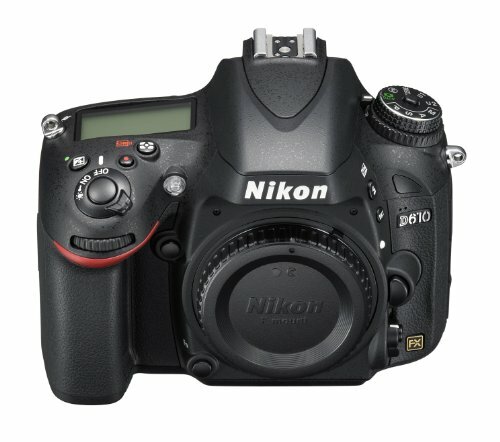 It sounds like D5300 is the best choice for you out of this list. You can also consider D3400 as an alternative. Actually, I provided different lenses here specifically for portrait photography. I know it’s extra $200 but 50mm f/1.8G is a great portrait lens. D5300 does come with a regular 18-55mm kit lens, so if you’re on a strict budget, then that’s what you can get and use it to grow your overall experience with cameras/photography. At some point when you’re ready, I recommend checking out Digital Photography School resources, which will help you understand your DSLR better and how to become a better photographer. I hope this helps and good luck on your journey as a photographer!